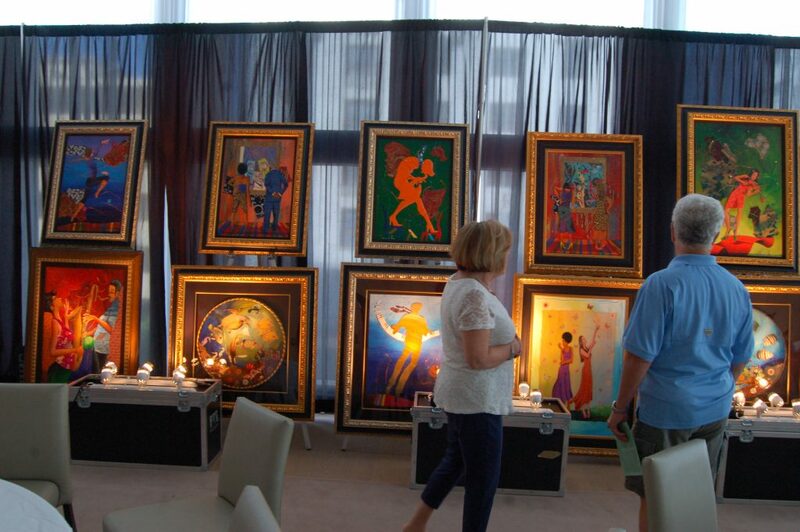 Attending an onboard art auction is a rite of passage for anyone who takes a cruise. With exciting bidding, compelling seminars, and intriguing exhibitions, the art program is sure to be the highlight of any day at sea. 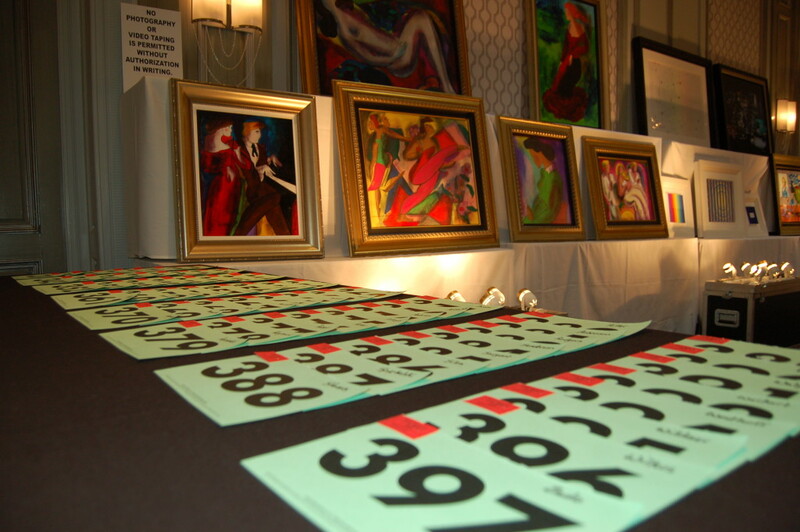 Before you journey into the art world with your first art auction experience, here are several tips that will ensure your first Park West Gallery auction will be memorable and fun. Art auctions are exciting, fast-paced, and unique from any other buying experience. Unlike shopping at the mall or ordering a product online, auctions offer a lively atmosphere for collectors to bid on artwork that appeals to them. 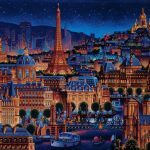 As new works of art make their way across the stage, the art auctioneer will educate the crowd in great detail about the history of the artwork, the artist, and the style of art. 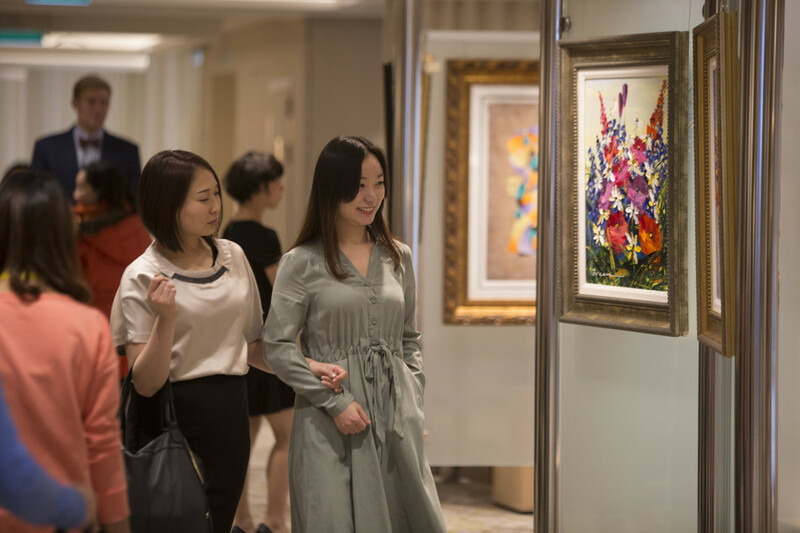 To enjoy your experience to the fullest, go into the auction with an open mind ready to learn about different types of art and a variety of artists. Before the paddles go up, guests have the opportunity to check out the art that is available during the auction. Take your time to browse the gallery during this preview period and seek out works of art by artists that speak to your tastes. Before you sit down, let the auctioneer know which works of art you are interested in to make sure it goes on the auction block. For many, an auction can be a fairly intimidating setting. Park West’s goal is to make fine art accessible to everyone by creating a fun, relaxed auction atmosphere and empowering collectors with an educational experience. Have a question before the auction? Feel free to ask your onboard art team for assistance. 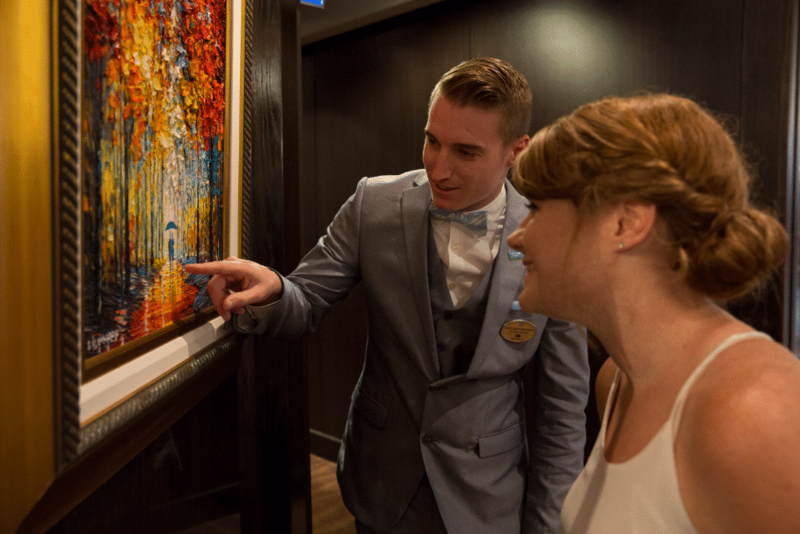 Guests admire the art at the onboard gallery of Royal Caribbean International’s Quantum of the Seas. 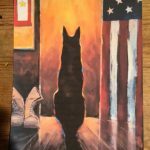 Art auctions are a great opportunity to connect with other art collectors from all around the world. Park West supports a network of amazing art collectors during and after cruises through our Facebook, Twitter, and Instagram accounts. By connecting with fellow collectors during art auctions, you go home with life-long friends. Your vacation is a time to have fun and try something new. Art auctions are the perfect place to do both! Between beautiful art, good conversation, and the exciting auction environment, the most important thing to remember is to enjoy yourself. Want to experience a live art auction? Plan your next cruise with Princess Cruises, Norwegian Cruise Line, Carnival Cruise Line, Celebrity Cruises, Royal Caribbean International, or MSC Cruises and you can attend Park West’s exciting onboard auctions and arts programming. Plus, now you can pre-register for Park West events on your upcoming cruises! Just click here to pre-register and Park West will have a special gift waiting for you when you arrive! 6. Attend even if you don’t intend to buy. It’s fun to learn about the various works and artists. There’s always plenty of room. Agreed, we certainly welcome everyone to check out our auctions and seminars. The onboard auctions are a wonderful part of our cruises. We always look forward to the auctions during days at sea. We started out many years ago totally intimidated, but P.W. spent time with us calming our fears. We started with small inexpensive pieces. As we became more knowledgeable our collection grew to original paintings and master prints. We have been to at least 20 seminars and always learn something new. P.W. and our art has brought a lot of pleasure into our lives. Thank you for your kind words! We are very happy to have introduced the joy of collecting art to you. 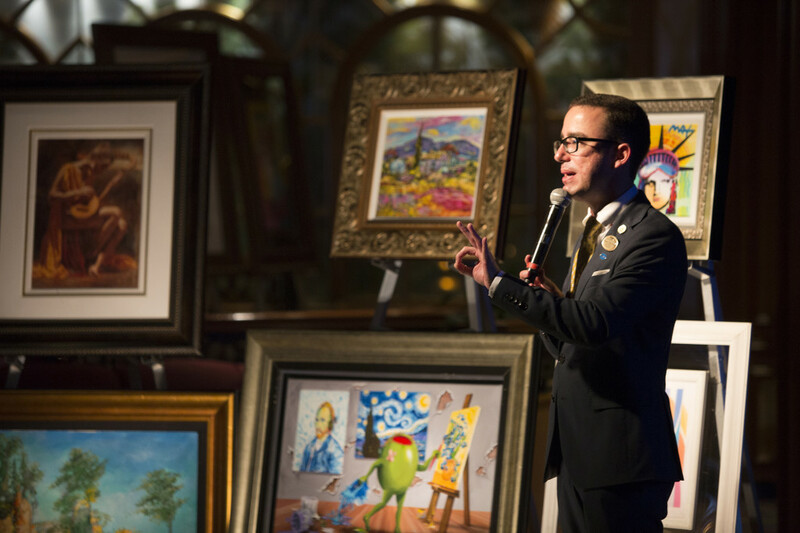 Who will be the art auctioneer on the Royal Princess for the Mar 30th cruise? We are looking forward to attending the art auction! We cruise on Carnival. We explored the gallery on our last cruise, then went to the auction. It was so much fun. Came home with a Peter Max original, 3 Najar’s and a Fanch! Can’t wait until the next cruise! Have been on 2 cruise in the last 2 years and also a VIP in Atlanta. The VIP was excellent and had a great time. The auctions aboard ship are really fun. Going a collectors cruise out of Seattle in June and can’t wait. Tarkay is our favorite artist.